There’ll be zero panic on my watch, pardner! Being a banker during the Old West must have been one of the worst professions imaginable. You knew you were going to get robbed and shot at some point during your career, it was just a matter of when and how often. Imagine working at an Old West bank like the kind found in Bank Panic, then: twelve doors, all rotating with drunken hustle and bustle. At any moment, a gentle cowboy or cowgirl could come in and deposit their hard-earned money sacks. Or a robber could kick the door in, shoot you, and steal said money sacks out of your dusty, bleeding hands. Or a child with a stack of hats (?) could show up unexpectedly, begging you to shoot the hats out of his hand for money. In the Old West, anything was possible. As the badass bank sheriff (read: security guard with a sparkly badge), you are asked to secure money deposits from all twelve doors before moving on to the next level. 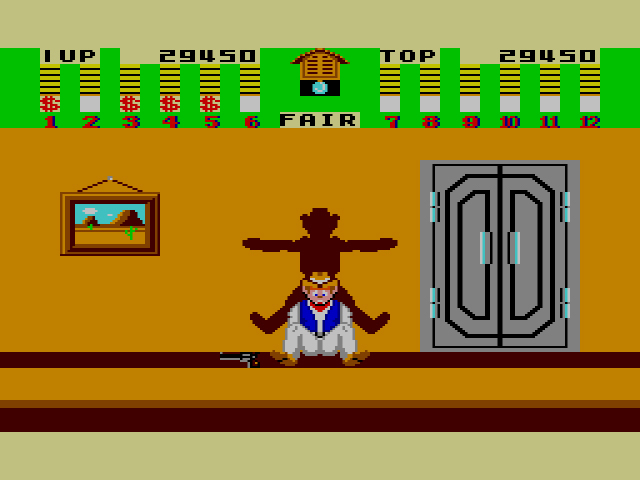 You have a gun to protect yourself from robbers and to shoot the hats away from the child (shooting all the hats before the door shuts nets you a money deposit). Later levels will also add bombs on the doors that you shoot (!) in order to prevent them from exploding (?!). The upper portion of the screen will show you which of the twelve doors have already received a money deposit (signified by a dollar sign in a box) and whether people are standing and waiting at the door (signified by a red line in front of the door). Thankfully, you can only focus on three of the twelve doors at a time. Pressing ‘Up’ shoots the left-hand door, Button I shoots the middle door, and Button II shoots the right hand door. When a civilian comes with money to deposit, you don’t have to press any buttons, the money will deposit on its own. When a robber comes, shoot him before he shoots you. Sometimes a civilian will appear at the door, look around nervously, then quickly be replaced by a robber. When this happens, wait for the robber to appear before shooting, always. Otherwise, you’ll shoot the civilian and be run out of town on a rail (that’s how it works, right?). After you’ve accumulated money from each door, Bank Panic continues until you’ve shot too many civilians or run out of time or gotten shot enough to warrant old-time disability i.e. an early death. A charmed life, to be sure. Oh, how the townspeople cheered when you captured all twelve money sacks before your time ran dry. 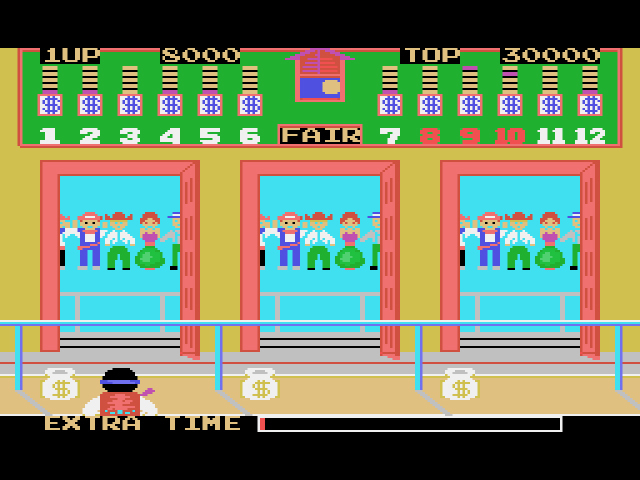 Bank Panic is intense and nerve-wracking and the type of shooting game that Hogan’s Alley should have been. It can also be very frustrating, depending on the version you’re playing. 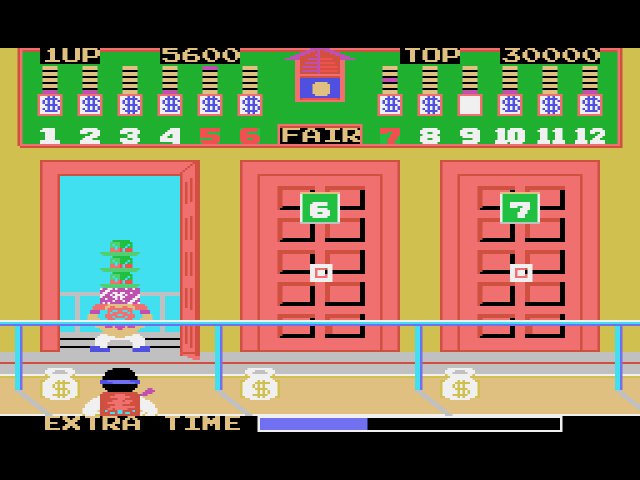 In the SG-1000 version, all three bank doors must be closed before you can move the cursor around to the other doors. Because of this “closed door” law, your time can and will run out on later levels when you’re trying to move to doors that have no deposits and robbers/civilians keep coming to the same three doors. When you are finally able to progress, scrolling to the other doors is SG-1000 standard slow and choppy, further eating away at your time. Don’t get me wrong: Bank Panic is still a hoot and/or a holler, but the game’s inability to progress quickly hinders it at times. May I interest you in Bank Panic for the Master System? 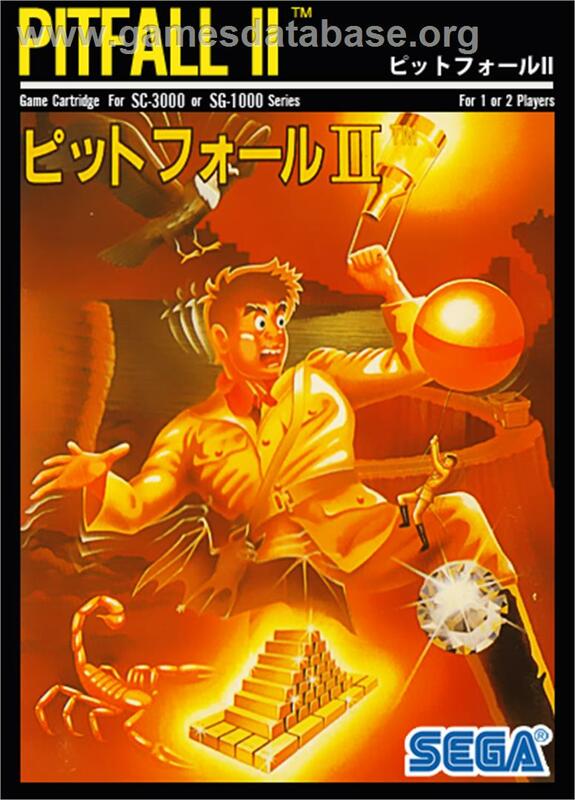 Perhaps this Sega Card is more to your liking? The Master System version is the best version if you’re looking to ease into Bank Panic. The system’s upgraded hardware makes for silky-smooth scrolling, and the bank doors don’t take nearly as long to open and close. Bank patrons – both good and bad – don’t emerge at the doors as frequently either, which forces you to move around the bank looking for the doors where people are located. Despite being a shooter, the game is unfortunately not Light Phaser compatible. Overall, though, the Master System Bank Panic has a natural flow that enables you to succeed beyond the jankier (but still enjoyable) SG-1000 version. This screen means that you allowed panic to overtake you. For shame. Hey, is that SG-1000 art by Susumu Matsushita? Looks like his style. Hmmm… not sure who the artist is for this particular cover. 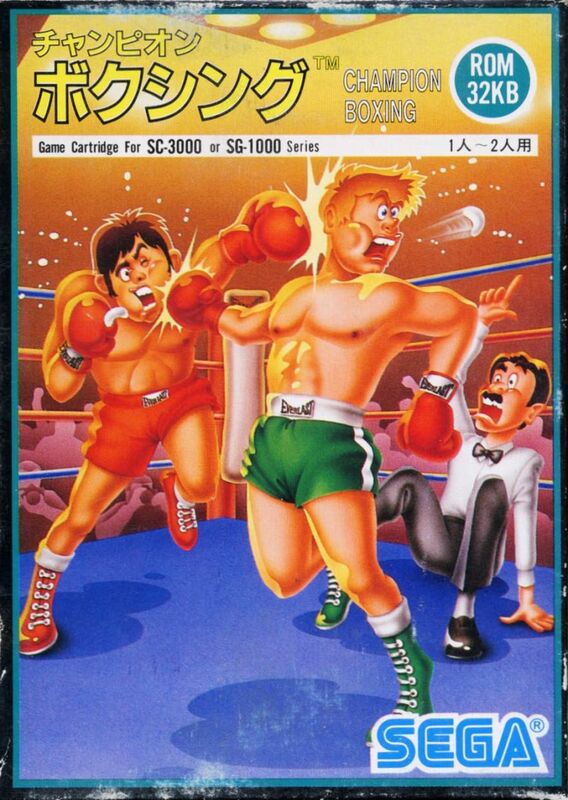 I do know their style has graced other SG-1000 covers, though. This makes a nice change to being a bank robber which seems to be the more popular theme for games revolving around the “temples of capitalism” 😀 Kind of an anti-GTA almost.